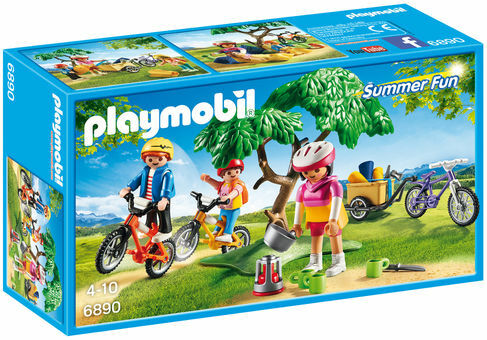 The Playmobil Biking Trip has three bicycles and three riders ready for a cycling adventure. Wearing their safety helmets the cyclists stop for something to eat using the equipment conveniently stored in the detachable trailer. As the day draws in, a night under the stars is imminent using the cosy sleeping bags. The set includes three Playmobil figures and lots of accessories.